Australian diver Brett Vercoe managed to capture amazing footage of five sharks at feeding time, up close and personal, and when you see them in action, I’m pretty sure you’ll agree that not only is Vercoe brave for getting so close, but that you never, ever want to be in the whale’s position. The sharks, three white pointers and two tigers, tuck into the dead sperm whale, and look terrifying as they do it, right off the coast of Coffs Harbour in New South Wales, Australia, Business Insider reports. It was incredible to find that happening just five or ten kilometres from Coffs Harbour. Unbelievable. It was a really exciting time. 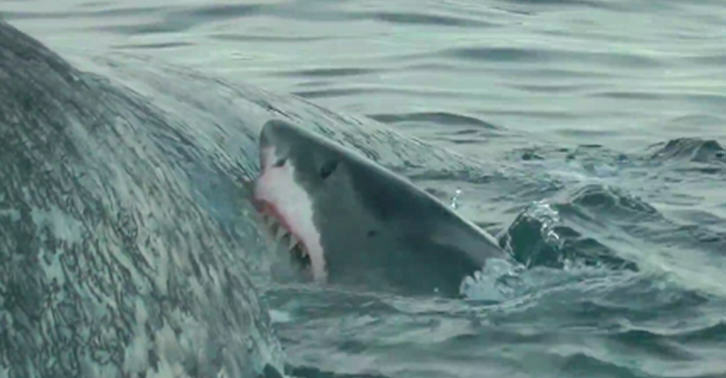 It’s probably the closest that I’ve been to sharks that are actually feeding like that. The stripped whale carcass eventually washed up to shore, and just reinforced how deadly sharks can be, in the same week that there was a couple of incidents involving sharks in Australia, with one surfer being knocked off his board and another mauled by Lennox Head.